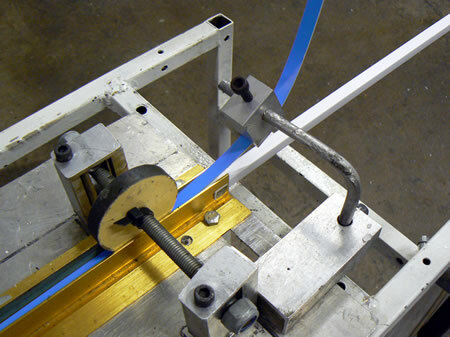 There are many ways in which plastic extrusions are installed, with one of the simplest being to attach self-adhesive tape to the profile, before removing the cover and pushing into place when ready to affix. 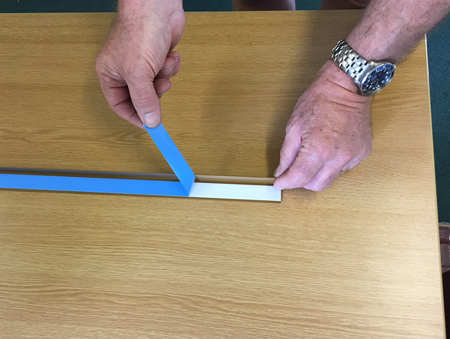 Self-adhesive or double-sided tape will stick to rigid PVC easily, giving a permanent and strong bond, but the choice and type of tape will depend on the surface to which the extrusions are to be attached. For more detail on tape types and on which surfaces they are suitable, visit our self-adhesive tape page, or download the Tape Testing PDF below. There are two methods of attaching tape during production runs of plastic extrusions, and the method depends on the profile, and how many strips are needed. Some profiles, generally flat, can have the tape gravity-fed onto the top surface in production, which removes the labour cost of fitting. For profiles where inline fitting is not possible, it can be applied as a secondary operation. To find out which option is possible for your profile, and to narrow down the most appropriate tape, contact us with your self-adhesive tape enquiry.